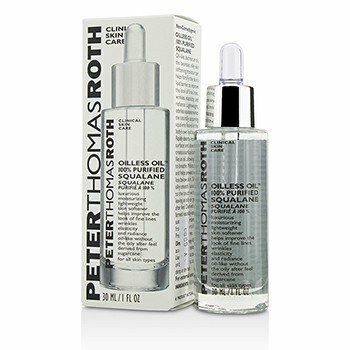 Oils and substances good for skin care. Welcome to this presentation of natural oils you can use to take care of your skin and hair, and some good products for the same purpose. Further down you can find presentation of salisylic acid used in many skin rinse products. Argan Oil - A pure plant oil with intense healing effects upon Acne, eczema, psoriasis and other skin conditions - The oil also has strong effects against skin aging and against skin injuries due to physical hazards. Through this link you will find a thorrough documentation. Lanolin - Lanolin is a blend of fats and oils derived from wool. It is good as skin protecter, to moisurize your skin or as a blending base in home-made skincare products. Lansinoh HPA Lanolin Skin Protectant Ointment - 1.41 oz. Dax 100% Pure Lanolin Super Conditioner 14 oz. Squalane - Squalane is a marvelous natural substance helping against many skin problems and keeping the skin genarally fresh and healthy - Squalane is a natural oil found in all plants and animals and in the human skin. It si used in many high quality cosmetic products, but it can also be used alone on the skin to reduce skin irritation, make the skin smoother and induce skin healing. Pills that stimulate the skin to clean away aging changes and restore itself to a young state - Helps to heal from damaged by sun rays, to take away wrincles, to replenish the skin with new structure lipids, to restore skin architecture and to lift face structures. The working ingredients are ceramids and anti-oxidant substances extracted from plants. ClearPores complete set for therapy against stuffed pors and acne - Complete set of products for effective therapy and prevention against acne. The set contains a rinsing solution, a treating and protecting cream, cream for body cleansing and protection and nutritive capsules to stimulate the healing and cleasning processes of the tissue in the skin from inside. The product is based on hebal and other natural effectors. Reverce physical signs of aging in the skin and the whole body - Human growth hormone has proved to help regain skin thickness, muscle intactness, a jouvenile muscle/fat-ratio and other properties of youth: This product is formulated to stimulate the production of growth hormones in the body to gain these benefits. Pills to treat hair loss - for men and women: This product contains natural substances to interfere with the hormonal effect on the hair follicles that cause hair loss and to stimulate the folicular cells to enhanced growth action. Hair care set against hair loss - for men and women: This is a a complete daily hair care set. The products in the set also contains natural substances to block the hormonal effect on the hair follicles that cause hair loss and to stimulate the folicular cells to greater growth process. Reduce growth of unwanted body hair - With this topical spray, you can gradually free skin parties from unwanted hair growth. You just shave the skin as usual and then spray the product on. After some time the hair stops coming out again. 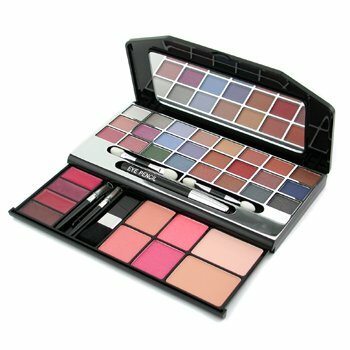 StrawberryNET.com - Famous quality cosmetics, body care and skin care for affordable prizes - For men and women. Worldwide shipping. All cosmetic, skin care and body care preparations from each producent. A few producent examples: Anna Sui, Biotherm , Borghese , Bvlgari , Carita , Cellex-C, Chanel, Christian Dior , Clarins, Clinique, Darphin , Decleor , Dermalogica , Estee Lauder , Guerlain, Guinot. Please click at this banner to learn more or make a purchasel. Daycare, nightcare, lipcare, lipsticks, eyecare, skincare, bodycare, make-up, men's fragrance, woman's fragrance, after shave, rinsing creams, bath and body, acne treatment, anti-aging treatment. More examples: Galenic, Monteil Z,. Bigatti, Gatineau, Murad, 4711, Gabriele Strehle, Miss Sixty, Academie, Gale Hayman, Molyneux, Adrien Arpel, Gale Hayman Beverly Hills, Mont Blanc,, Adrienne, Vittadini, Geoffrey, Beene Montana, Agent, Provocateur, Gianfranco Ferre, Morgan, Aigne r, Gilles Cantuel, Moschino, Alain Delon, Giorgio Armani, Naomi Campbell, Alexander McQueen, Giorgio, Beverly Hills, Narciso Rodriguez, Alfred Sung, Gloria Vanderbilt, Nautica, Alyssa Ashley, Gres, Nike, Animale Gucci, Niki De Saint, Phalle, Annick, Goutal, Guepard Nikos Anucci, Guy Laroche, Nioxin Aramis, Halston, Norell, Aubusson, Hanae Mori, Origins. Verseo - innovative products for beauty, rejuvenation and wellbeing - Massage tools, creams, wraps and physical treatment instruments to cleanse and rejuvenate the skin and the inner organs of the whole body, including hands and feet. Tool to make you relaxe and feel well in all parts of yourself. Items to make your skin and the deeper structure under the skin smooth, firm and elastic. Items to restructure and rejuvenate your hair or to take away unwanted facial and body hair. Here are some examples of good products from several houses. By clicking at any link you get to a store with many more products. Salicylic acid (ortohydroksybenzoic acid) and derivates of it is found in the nature in the einner bark of willow. The substance has its name form the willow tree (salix) whose leaves contain salicylic acid. The molecule contains a benzen ring, a carboxylic group that makes it acidic and a hydroxylic group that also mekes the compund an phenol (aromatic alcohol) that can esterify with other acids. Instead of benzoic acid itsef, one often encounters the salts of the acid or bezoates or esters of the acid, for example acetyl-salicylic acid or aspirin. The substance can reduce pain. It alleveates inflammation. It can reduce fever. It also has anti-bacterial actions. The acid has a dissolving effect on aggregates of keratine (horn substance) and on many fatty or vaxy elements. It is especially effective to loosen solidified aggregations where keratine and fatty substances are blended. It therefore helps to dissolve cloggs in the pores in the skin or excessive horny layers upon the skin surface. It also stimulates new cell growth where such outer layers have been dissolved. The acid can however irritate tissues, it can cause diarrhoea and bleedings in the digestive tract when used orally. The amounts needed to give sufficient theraputic effects when it is admistered orally is often so great that the side effects occur in an unacceptable dgeree, or the amounts needed are not practical. Therefore most medical application of salicylic acid are topical. However, by topic application the therapeutic effects can be achieved without unacceptable irritation, or the irritation itself can be used in a theraputic way. A side effect sometimes ocuring when the substance is used topically is hyperpigmentation. The Greeks used a bitter powder extracted from willow bark containing salicylic asid to reduce fever and ease pain and ache, and this use is documented by the Greek physician Hippocrates. This use is also documented in ancient Sumerian, Lebanonic and Assyrian texts. The Cherokee and other Native Americans used an infusion of the bark for fever and other medicinal purposes for centuries. The inner bark and was historically used as a pain reliever also in England. The active extract of the bark, called salicin, after the Latin name for the white willow (Salix alba), was isolated in crystalline form in 1828 by Henri Leroux, a French pharmacist, and Raffaele Piria, an Italian chemist.This substance containes mostly derivates of salicylic aid. Piria was able to convert the substance into a sugar and a second component, which on oxidation becomes free salicylic acid. Salicylic acid was also isolated from the herb meadowsweet (Filipendula ulmaria, formerly classified as Spiraea ulmaria) by German researchers in 1839. Salicylic acid was for a long time a standard remedy for fever, pain and inflamation, but was eventually discontinued for oral use when the derivative acetyl salicylic acid was invented that gives these effects in a strong degree and in doses that usually do not give intollerable side effects. Salicylic acid is used in many remedies against acne. In these remedies it helps ro kill bacteriathat causes the infectional component of the ache process. It also helps to disslove clogs in the pores. and take away other unwanted deposits on the skin. The inflammation-reducing effect and the pain-killing effect may also be of some importance when used against acne. Salicylic acid is used as a component of remedies to treat also other skin diseases that produce hard deposits in or on the skin, like psoriasis, calluses, corns, keratosis pilaris, and warts. The effect or loosening keratine and fatty leyers is ulso utilized in many products against dandruff. In modern medicine, salicylic acid and its derivatives are used as components of some rubefacient products. Methyl salicylate is used as a liniment to soothe joint and muscle pain. Choline salicylate is used topically to relieve the pain of aphthous ulcers. Bismuth subsalicylate, a salt of bismuth and salicyclic acid, is the active ingredient in stomach relief aids such as Pepto-Bismol. Bismuth subsalicylate helps control diarrhea, nausea, heartburn, and gas. It is also a very mild antibiotic. Aspirin is a pain, fever and non steroidal anti-inflammatory drug. The drug also reduces the blood platelates ability to agglomerate together. The substance is a colorless, crystalline connection with a sour taste and no smell. It is easily soluble in alcohol, hard soluble in water and melting at rapid heating between 135 ° C and 141 ° C.
The substance used to reduce pain and fever and are protected under several brand names, including Dispril, Aspirin and aspirin. Aspirin anti-inflammatory effect makes it also used by arthritis. The substance used in small doses in the prevention of heart disease, Albyl-E, and by dripping or heart attack to prevent blood to clot in blood vessels leading to the brain or heart. Aspirin should not be used for a long time during pregnancy, and not at all the last three months before birth. Regular use should also be avoided during breast-feeding. Aspirin can cause stomach ulcers if you take too much of it. Albyl-E is designed so that the tablets are not dissolved before they reach the intestine in order to avoid this effect. The substance may also be the cause of asthma, or aggravate asthma to those who already have it. Children who have the flu or chickenpox should not receive aspirin, since the substance of these diseases can trigger a serious (but rare) disease called Reyes Syndrome. These statements have not been evaluated by the Food and Drug Administration. These products are not intended for diagnosis, traetment, cure, or prevent any disease. This information is nutritional in nature and should not be construed as medical advice. This notice is required by the Federal Food, Drug and Cosmetic Act.